Babu has spent the last six months researching a new trek, one which required no transportation except for "feet power!" 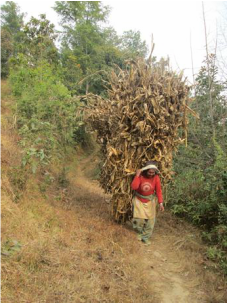 During this trek you will meet people who have had little or no contact with outsiders, especially foreigners. You will walk through pine forests, over a suspension bridge across a lake, have tea at traditional Nepali Kitchens, all the while admiring the magnificent scenery. On day 2 and 3 (weather permitting) you can see from Dhaulagiri to Mount Everest which makes it far cheaper than travelling hundreds of kilometres to Annapurna or Everest! Day 1 Today we start early from Babu's House. After an easy walk to Thankot there will be a steady climb (taking three hours) to Chandragiri Bhanyang through the jungle. On the top (2265 m) we will stop to have lunch and take tea at a traditional tea house. After lunch break we will continue down into the valley to the picturesque village of Chitlang where Nepal's first Goat Cheese factory was started. This walk down will take approximately two hours. 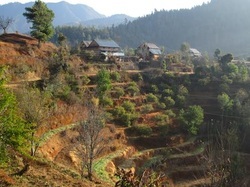 In Chitlang we will stop and overnight in a family Homestay and have a traditional dinner. 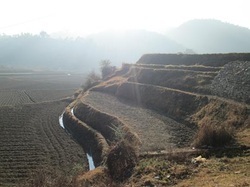 Day 2 - After a traditional breakfast we start an easy walk towards Palung past several Newari brick house villages and agricultural terraces. 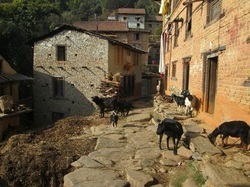 The walk takes us through beautiful hidden Nepali villages and through some jungle trails. After five to six hours we will reach Palung where we will stay in a family guesthouse. 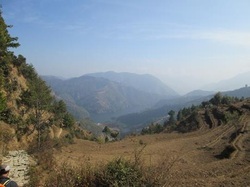 Day 3 - After breakfast we begin a steep climb through the village and jungle for a fairly gruelling three hour walk towards the viewpoint of Daman where (weather permitting) you can see the mountain range from Dhaulagiri to Mount Everest. After Daman we continue going up to the highest point of the trek in Simbhanjyang (2488 m) where we will sleep in a family hotel. If weather permits you can see the mountain range from here as well. 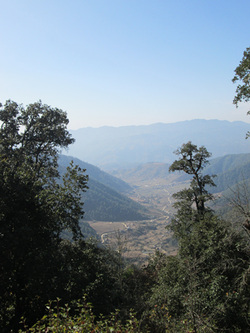 Day 4 - From Simbhanjyang we will make our five hours descending way along sandy paths and beautiful pine forests towards Markhu. At the end of this walk we will have spectacular views over the lake that powers most of Kathmandu's electricity. We will be staying right next to the lake in a family lodge in Markhu and if you are a fish lover we will have fresh fish from the lake, otherwise we will eat traditional Dal Bhat. Day 5 - After a traditional breakfast with the family we will walk into Markhu village via a fantastic suspension bridge to take the local bus back to Kirtipur. 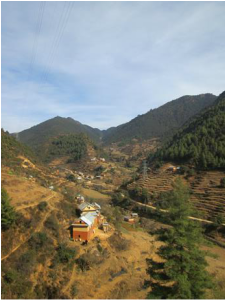 The bus ride will take two to three hours and you will see how Nepali people travel. After lunch in Kirtipur we will walk 45 minutes back to the Homestay.